It's true! Read the words of one of Tacoma's leading educators thanking local home cleaning franchise owner Ashika Reddy for providing exceptional house cleaning services. 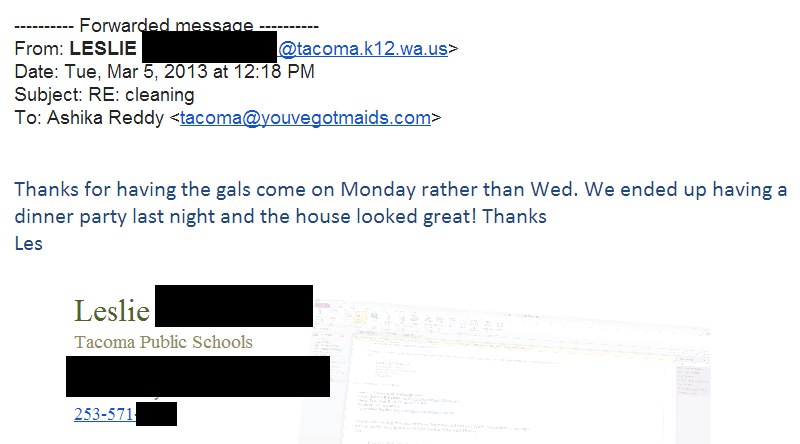 This feedback is a testimony to the Reddy's flexibility for their valued Tacoma maid service clients. 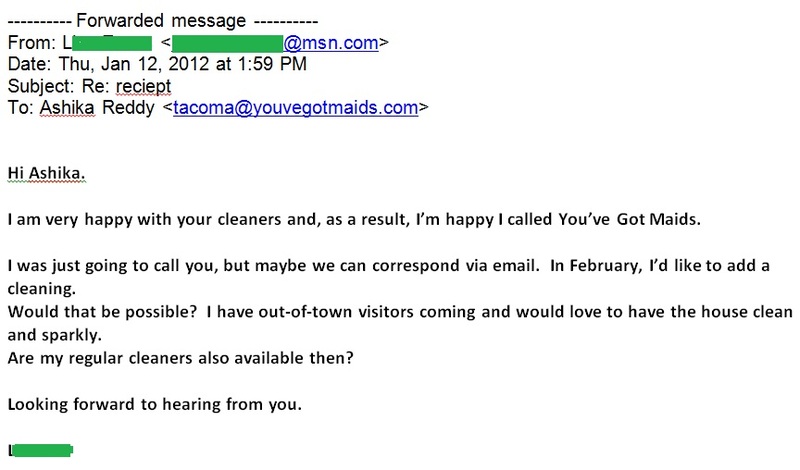 Tacoma House Cleaning Service Receives Great Feedback!